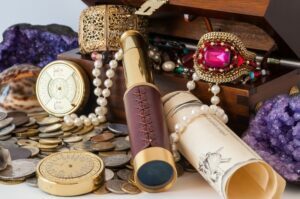 Come on a treasure hunt with us and explore in depth the essential skills for excellence in professional coaching. No matter what level of skill and experience you have, we can always learn and refine our coaching capabilities. By reflecting on the coaching core competencies in an experiential setting, you will continue to build strong intuitive muscle memory that makes your coaching more powerful with less personal energy. The workshops will include a small amount of pre-work, impactful presentations, a workshop guide, a detailed review and exploration of the subject competency, live demonstrations and exercises, discussion of the PCC Markers related to the competency, and resources for additional learning. This 10-module program can be purchased individually so that you can choose the competencies in which you have the most interest or challenge, or you can purchase all 10 at a discount. Each session will be recorded, so if you miss one or two, you can still listen to the recordings and download the workshop guide. Only live attendance can count as Core Competency Continuing Education credit, but listening to the recording can count as “self-study” for your Resource Development hours. Our goal in providing these webinars is to support the growth and development of practicing coaches. We know it will improve confidence, create positive client results, and ultimately move the needle forward for our collective energies. Of course, certified coaches need their CCEUs and the opportunities for specific Core Competency training is more limited than the options for Resource Development. That’s where we come in. Our commitment to high-quality coach training doesn’t stop when our students graduate. So this is the perfect way to continue the learning experience and hopefully reinforce best practices for coaches at every level. Each module is a 90-minute interactive webinar. We’ll be using the Zoom platform (with video) for maximum flexibility and engagement. You can register for each one individually for $39.95. Select only those webinars you are most interested in and that work into your schedule. Or choose the package of all 10 modules for $349, less than the price of 9. If you miss any session, you can still access the recording and receive the workshop guide. Participants will review the competency of Establishing the Coaching Agreement with a focus on what should be included in the agreement, how it is formulated, and various tactical aspects of creating and applying the agreement. We will address how to set clear expectations for roles and expectations, and essential terms and conditions necessary for optimal success. Finally, we will discuss the importance of confidentiality and how it may uniquely apply in some engagements. Learning Objectives: Participants will . . . Participants will review the competency of Establishing the Coaching Agreement with a focus creating clear and motivating goals, both for the engagement and for each session. We will discuss the conditions that should be satisfied to have empowering, exciting, and achievable goals. We explore what occurs if any of these conditions are missing. Participants will review the competency of Establishing Trust and Intimacy. We will discuss the importance of creating a safe space for the client to explore and grow, of building instant and ongoing rapport in the coach/client relationship, and holding to the belief that the client has the resources he or she needs to be successful. Participants will review the competency of Coaching Presence. We will review the behaviors of this competency, emphasizing the importance of “dancing in the moment” and “staying in the not knowing.” This workshop distinguished the role of coach and client: the client knows the content, and the coach manages the process. Participants will review the competency of Active Listening. We will discuss the concept of deep and focused listening and reinforce the importance of coaches listening “for” rather than listening “to” the client. The emphasis is on hearing what the client values and believes and helping them expand their possibilities and ideas. Participants will examine the barriers to deep listening such as judgment or personal beliefs, and create strategies for improved listening. Practice and explore appropriate ways to interrupt a client’s back story to help them focus on the essence of their situation. Participants will review the competency of Powerful Questioning. Participants will discover the nature of a powerful question and what makes it powerful. Explore a selection of NLP Presuppositions that could challenge a client’s assumptions, beliefs, or their ways of looking at the situation or themselves. Participants will review the competency of Direct Communication. Specifically, we will explore strategies for noticing a client’s incongruities and inconsistencies as well as ways for the coach to respectfully speak his or her truth. Participants will review the competency of Creating Awareness. The workshop will emphasize the coach’s role to invite, observe, notice, and question and the client’s role to understand themselves and the situation at a deeper level or with new perspectives and to learn and design new behaviors or approaches to make changes they desire. Participants will review the competency of Designing Actions. We will emphasize the role of the coach in nudging clients beyond their comfort zones, assisting them in gaining greater awareness, and generating multiple options for action. Participants will learn the importance of helping clients slow down, dig deep, and brainstorm a variety of possibilities, before jumping into action planning based on the first idea generated. Participants will review the competencies of Planning and Goal Setting and Managing Progress and Accountability. We will emphasize that the coach is a partner in this process with a shared commitment to the results that are important to the client. Participants will learn ways to help the client identify what is most valuable to them and how to continue to develop and move forward beyond the coaching engagement.